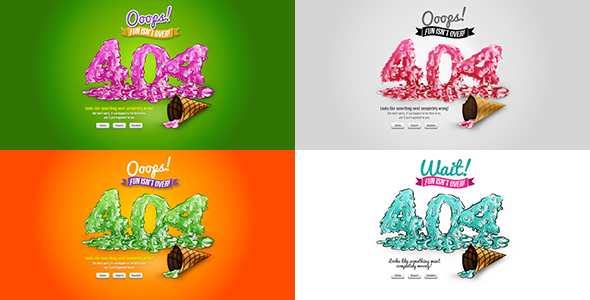 Ice Cream 404 Page is funny and great looking summer HTML5 404 Error Page. You can choose between 4 colors. PSD file is fully layered and layers are well named and organized within folders to make them easily accessible and use. Item Reviewed: Ice Cream 404 Page HTML5 Theme 9 out of 10 based on 10 ratings. 9 user reviews.